Owning a Bentley has long been a certifiable symbol of status and high-class, now you can take it one step further with the diamond encrusted Bentley shift knob. You could easily purchase several new cars for the price of this one knob. Bentley has been making automobiles out of Britain since the 1920’s and interestingly enough, one of the company’s earliest owners was heir to a diamond mine fortune. Bentley Motors saw hard times in the Great Depression when it was sold to its competitor, Rolls Royce in 1931. 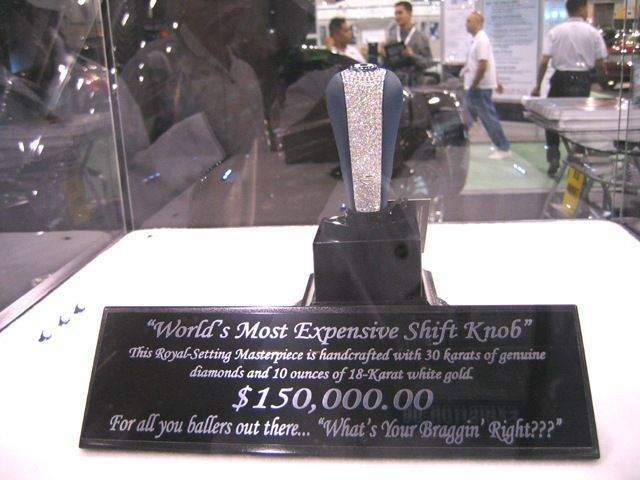 The most expensive shift knob will certainly gain you a lot of attention, maybe even a shattered window from a break-in attempt. If you can afford this expensive shift knob then you can probably also afford some nice window tinting. So, how much is it worth, you may ask? 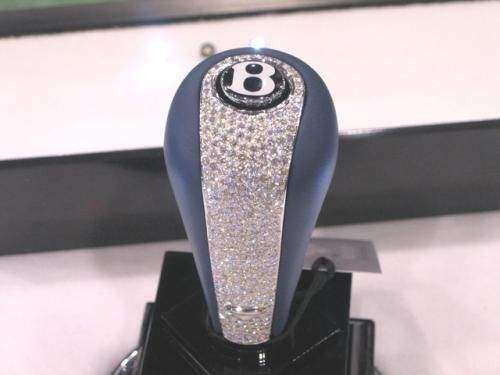 The Bentley Gear Shift Knob is approximately worth $150,000 and features 30 carats of diamonds, and 10 ounces of 18-carat white gold. Just to give you an example of how ridiculous this shift knob really is, the Bentley Continental GT costs $165,000. 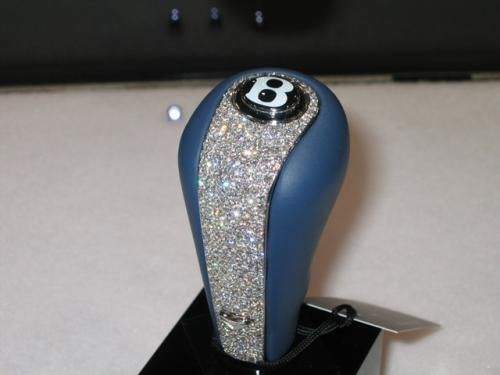 How could anyone justify the purchase of a diamond encrusted gear shift knob!? The LP Wheel Group (IcedOutEmz) designed the expensive shift knob and owner Tony Lee reports that they have not found a buyer yet.